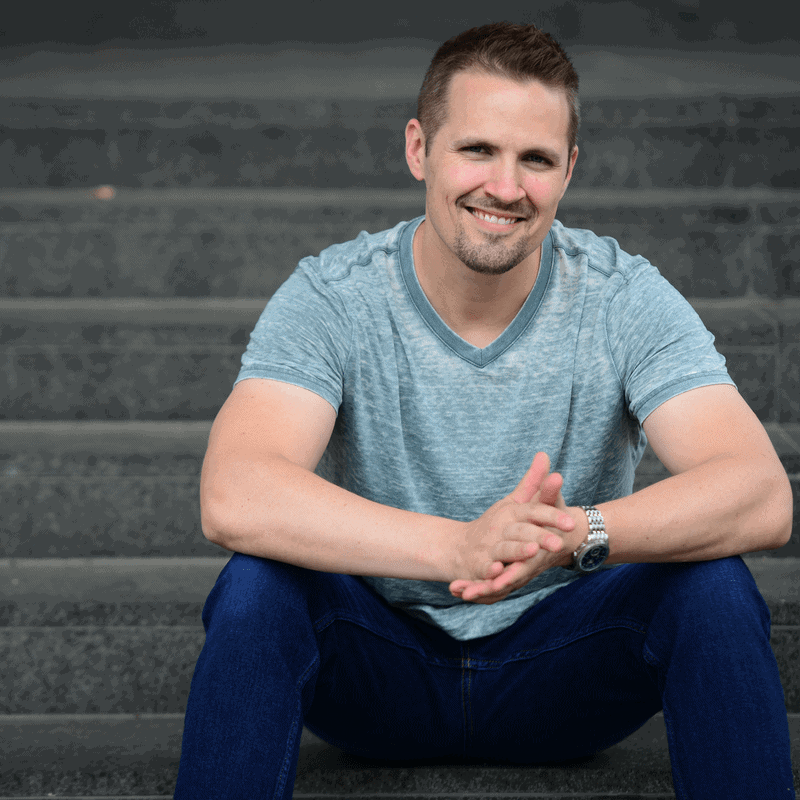 If you've followed this blog for any length of time, you probably know my thoughts about the importance of having an effective real estate website working for your business (whether it's for the purpose of buying, selling, or simply collecting leads). There are a lot of different ways to create a website – some of them are easy, and others take a lot of work. For most real estate investors, there's a BIG premium on convenience and ease of use – because let's face it, we're not web developers, coders or programmers. Most of us already have our hands full running our business and doing deals. Especially when a person is just getting started – they've already got their hands full. It's not easy to find the hours needed to create a good-looking AND functional website. If you're looking for the easiest way to build a website – there are a few convenient options on the market today, and one of the platforms I've been hearing about quite a bit over the past few years is called Investor Carrot. This is a subscription service that allows users (specifically – real estate investors) to quickly and easily build websites for the purpose of buying properties, selling properties, building a buyers list and branding their company (among other things). Investor Carrot has been growing like CRAZY as of late, and even though this is one of the more pricey subscription services I've seen on the market, there's a reason why a lot of investors are using them. Not only do they make it easy to build websites that look amazing, but they also allow users to make some unique customizations to the look and feel of their sites (including the submission forms) without knowing any code and without having to work around any restrictive settings. They also specialize in the SEO, performance and ROI aspects of web development, so if you're trying to find effective ways to build your online credibility AND drive a lot more traffic and submissions through your website, they have a lot of built-in resources available to do just that. This past week, I decided to give Investor Carrot a whirl to see how it worked. While I was poking around their the system, I recorded this video – so I could give you a better look at it too. If you've got a few minutes, follow along and I'll show you how it works! Note: We do have an affiliate relationship with Investor Carrot, which means REtipster.com will get a small commission if you sign up for the service through any of the links in this blog post (and if you do, we appreciate your support). As always, you should only use this service if you feel it will help you accomplish your goals. Please do not spend your money unless you're confident about the value this will bring to your operation. At the time of this writing, users can sign up for a single website for $49 per month, or up to three websites for $99 per month (for more information on their plans and pricing, see this page). Like I said… it's not the cheapest option on the market – but if you're looking for a nice combination of ease and flexibility, this system seems to offer a good balance of both. Something I really liked about Investor Carrot was the amount of information and options to choose from when creating a website. When you create a new site, it already comes pre-populated with a generous amount of existing content, which not only makes the job easier for you (because you don't have to make up a bunch of information yourself, you can simply edit what's already there), but it also adds a lot of “SEO juice” to your online space, making it easier for search engines to index your site and start sending organic traffic your way. The sites are also mobile responsive, which means they'll always look good on any device. It's also very easy to integrate an Investor Carrot website with your existing social media accounts and list building services (like MailChimp, Aweber, and Constant Contact). They've clearly put a lot of thought into making these templates versatile while enhancing the experience of the people visiting your website. The only real downside I noticed with Investor Carrot is that it wasn't quite as “idiot-proof” to set up a site as I thought it would be (though it's still MUCH easier than working with a standalone WordPress website). I think this is partially because their system offers a lot of different options for customizing your website, and all of these added capabilities give you more stuff to sift through… which ultimately makes it slightly more cumbersome to zero in on the specific features you want to add, remove or change. To be fair though, I've actually seen this with other software in the past too (and even in the creation of my own membership website), where ease-of-use can become a double-edged sword. In order to make the overall process feel simpler for the user, you have to give them less control (like the ability to create and customize your own forms, for example). On the other hand, when you give users more options, it inevitably starts to look and feel more complicated… so it's a tricky balance. All in all, even though the user dashboard was a bit busier than I expected – it didn't take me terribly long to figure out how their system worked. Within an hour or so, I had a pretty good handle on about 90% of the functionality. Probably the most important customization feature I noticed with Investor Carrot was the ability to create complex and detailed submission forms. If you're looking to build a buying website or a lead generation site (the kind of platform that collects a lot of specific information from visitors), this will really come in handy. 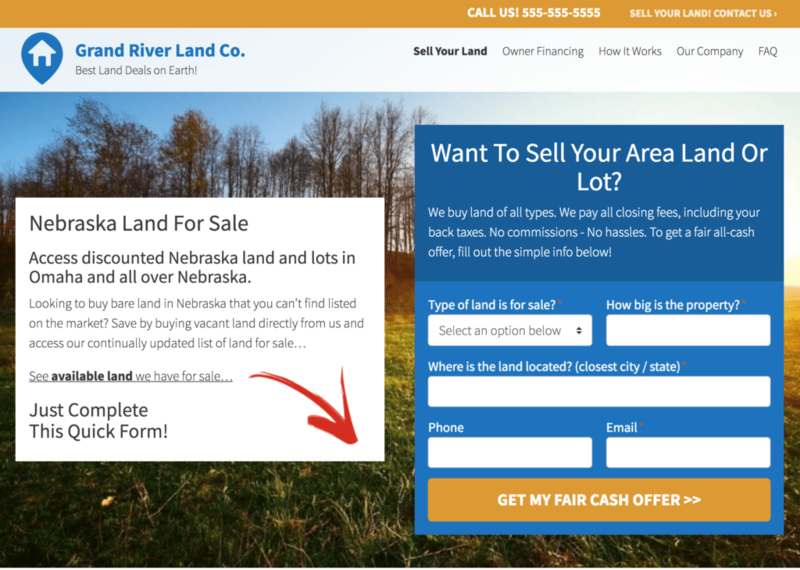 As a land investor, there are some very specific pieces of information I need to get from the people who submit their information on my site, and with a service like Investor Carrot, I can customize the heck out of the submission forms to my heart's content – and in my case, this capability is a must for a buying website. …you get the idea. Pretty much every important thing that needs to be addressed on your site is fairly simple to tweak (though it may take you a few minutes to figure out where and how to make these changes). As you can see from the video above – Investor Carrot has made it pretty easy to create websites that look professional WITHOUT wasting a lot of your time in the process. Whether you’re a house flipper, property manager, wholesaler, realtor or land investor – we ALL have a fundamental need (whether we realize it or not) for a well-organized, highly functional, good-looking online space that serves our business well. 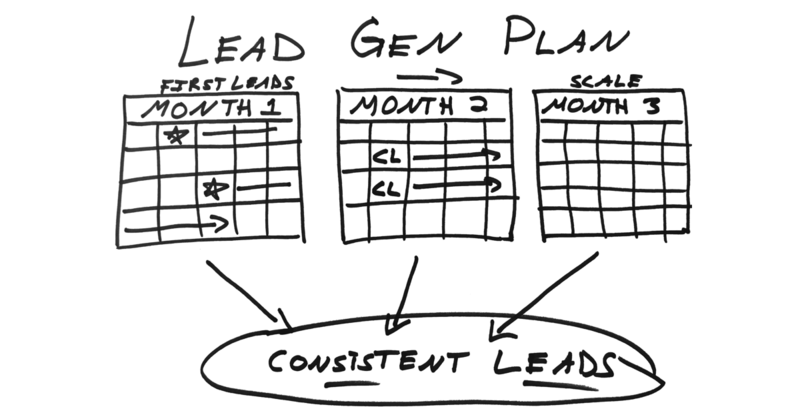 If you want to go nuts with a full-blown content marketing strategy, they also offer a content marketing system (with a Content Pro account) where they will write 12 articles each month, optimize them, localize them w/ the shortcodes (including the URLs) and you can publish them on your blog. This kind of content creation plan could help you see much better search ranking results and it can help save a ton of time for people who want content on their sites but aren't ready to do all the writing themselves. Something I appreciated about Investor Carrot is that they offer a lot more than just a website service. In addition to being a user-friendly option, they also provide regularly scheduled webinars and some great resources that can help you boost your website's organic traffic and make it serve its intended purpose. No matter where you're at with your real estate business, they seem to have something for everyone (even after running five different real estate websites for several years, I learned a lot from their SEO Bible alone). Is Investor Carrot Right for You? For a lot of people, I think Investor Carrot could be the most ideal way to go, but I wouldn't say it's the ONLY choice that makes sense for everyone. As I mentioned earlier, Investor Carrot isn't the cheapest long-term option on the market today, so if the cost is a concern for you – and if you have any experience building or designing websites, you may be better suited to create your own WordPress site through a less expensive service like Bluehost (more details on that in this blog post). However, if you opt for the “do-it-yourself” route – you should also be prepared to do A LOT more hands-on work yourself (and if you don't already have a knowledge base here, it will take quite a bit more time and frustration to get the job done). Personally, I'm still using a standalone WordPress site with the AgentPress Pro theme for my buying website (mainly because I didn't know of any easier options back when I created it) and I'm still using Lead Propeller for my selling website and my lead generation site. In my experience with both Lead Propeller and Investor Carrot, I thought Lead Propeller was slightly simpler to use in terms of getting the site up and running (I could literally finish my website in 20 minutes and it looked good). With that said, I think both systems are a solid option – and the “right choice” for your business will ultimately depend on the look, feel, usability and features you prefer. I wouldn't say that either platform necessarily “crushes” the other one – they just have different systems and options available to accomplish a similar end goal of making it very easy to create your own real estate investor website(s). 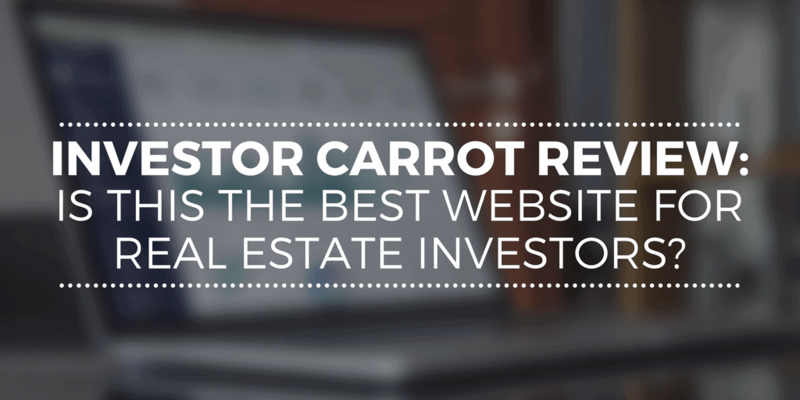 If you're stretched for time and you need to create a great looking website that is fairly easy to edit and make do what you need, I think Investor Carrot is definitely worth checking out… but you don't have to take my word for it. Sign up for a 30-day trial and find out for yourself. I dont know about the Carrot website, but i signed up for for their free tips on creating a Craigslist Ad: what a waste of my time. No formatting techniques, no tips on how to create a stunning ad-hell, I know more about how to create a good ad from Lucas Hall’s free Marketing on Craigslist pdf. I sure hope their website is more helpful to folks than that. Glad I didnt plunk down any bucks for that disappointment! Hi Tim – thanks for sharing your thoughts man. I haven’t seen their Craigslist Ad tutorial yet (or Lucas’ for that matter – I’ll have to check that out too). Good to know your feedback either way. First, I want to say thanks for your blog. The various topics have been a great help to me getting started in this business. As I was about to dive in to creating my website for motivated sellers to go-to, after receiving post cards, I started looking at other websites. I saw a few sites with “investor carrot” at the bottom and started checking them out. Since I have created websites for other businesses of mine in the past, I knew how painful it is, even with a tool like WordPress. So I figured I’d give Investor Carrot a go and save myself literally hundreds of hours. I have been pleased with the site. As you mentioned, the ability to build custom forms is a great feature, and I have spent most time on that part so far. In fact, one of your blogs shows the list of questions you ask a motivated seller. I took your list and made it my own, and tweaked it quite a bit. I am finding there are many mail respondents that don’t want to go to a website, so while I have them on the phone, I go there and ask them the questions right off my list, as I fill it out, so I don’t fumble all over myself. The Carrot guys really focus on SEO in order to get the search rankings to drive customers to your site – as they should. SEO is taking a while for me. The landscape of these sites is very crowded. You need to spend considerable time to do many little things to give the SEO stuff a chance. I have not done enough obviously. I have spent most of my time working on direct mail campaigns. After systematizing my direct mail efforts, I plan to get back to SEO. When I signed up I figured, even if I don’t get leads via google, at least I have a professional site for leads to go and provide more info. And I didn’t have to spend much time to get it setup. So I am pretty happy with the $ and time I have spent so far to have such a website. The Carrot guys are a pretty high-energy group, and that’s good. I feel like a lazy bum for not doing all the stuff they suggest every few days. Only so many hours in a day! Hi Carroll, that’s some great info – thanks for sharing your experience with Investor Carrot. It sounds like you’re on the right track! Thanks for sharing the link to your site too – it’s looking great so far! Not familiar with Investor Carrot but sounds like a great option for agents with little technical knowledge. There is not denying the importance of having a strong online presence so whether its Investor Carrot or a platform like WordPress the most important thing is to actually do it. Totally agree! Thanks for checking out the blog post Jessica! I first noticed an investor carrot in the local search results for “we buy houses” (my state and cities) I wanted to target way before we even went online. I have looked into there services and products and they all seem like great options for an online presence. The last time I checked there flagship service was 1200/yr which isn’t bad at all if you think about it, that should be a small fraction of one deal even if your just wholesaling. The problem I see now is there is a lot more local completion and they are trying out the on-carrot WordPress based system, with out spending the time developing it. In my opinion making there sites look spammy for lack of a better word. They have poor content and are repeditive. With that being said I am actually considering doing a couple additional sites on there platform. I have seen a couple sites done with carrot that I really like and I think there cms would help out a lot. Thanks for sharing your thoughts Stacy! From what I saw, the platform looked like a pretty solid option to me. Best of luck! I personally had a website made by Upkeep Media ( http://upkeepmedia.com/ ) and they were great. I only ended up using them after I had done advertisements with them. I don’t think they advertise that they do websites but they ended up offering it to me. Definitely shop around when it comes to choosing the right website for your company!